Cross traffic was stopped as he rolled up to the intersection. The beast was purring, belying the 620 hp turbo charged engine. It wanted to be released, and so did the driver who looked expectantly at the two officers who sat on their motorcycles. 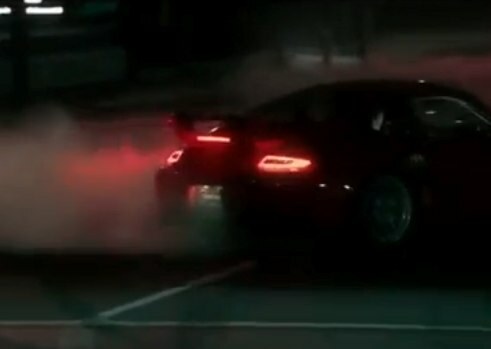 They checked with each other and then waved his Porsche GT2RS onto the main road, two more officers standing ahead and to the left, their motorcycles flashing blue and white lights, blocking the way of other cars. They allowed this car dominance, this creation of art and physics. This car, one of only 500 built, now owned the dark, twilight covered roads of downtown LA. Its driver turned onto the straightaway they had cleared and quickly shifted through the gears, the car’s refined growl did not waver, but moved elegantly up and up, eating the open pavement of the city. It came to an intersection, downshifting into a screeching drift, deliberately leaving rubber onto another cleared road. The city, at least this section, was now his playground, negotiated by the producers of Top Gear and the authorities of one of the most wild municipalities in the United States. The police stood aside, if only for a short time, for this man-made beauty of form and function. Live. Die. Repeat? Well, actually, not true. I finished watching Edge of Tomorrow, and I was confused. After riding high on a well-written plot that moved quickly and stayed logically consistent, it broke its own rules. A good story sets expectations from the beginning as to what kind of story it’s going to be. This is a comedy, there will be silliness. This is action, there will be many shots fired and few people hit. This is sci-fi, it will show you an alternate reality. But all of them establish some frame of belief, a code of law, the laws of this particular story. Art comes in different flavors, some strongly themed and some light stuff, because we all need to have some candy and indulge ourselves. So it’s important to observe art on this sliding scale. With Edge of Tomorrow, I came away disappointed, but I take as much responsibility for this as the creators. My expectations were set a bit higher than a sci-fi action flick, and that is thanks to the acting ability of Cruise and Blunt. But ironically, my disappointment came from the power of the plot, a plot which marched forward with clear premise. 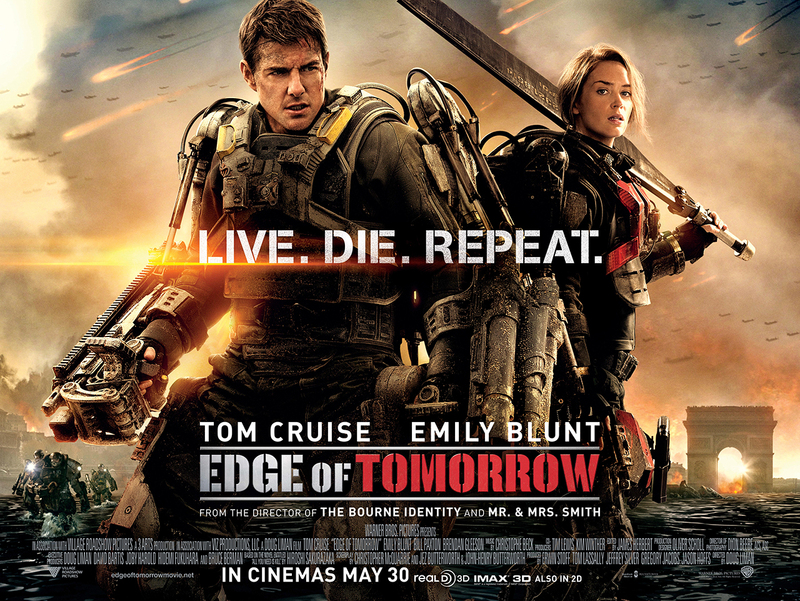 Cruise’s character, Cage, relives the same day, again and again, after he dies, and his purpose is to find the Omega to destroy it and save the earth. Then, in the last scene, the foundation of the premise was broken, causing structural failure of the story. This movie was sweet, airy cotton candy from the start, weakly themed and with no meaningful lesson learned by the characters. But I believe that films with more depth have a responsibility to the consumer to stay focused. Otherwise, the piece becomes self-indulgent, the writers and directors not showing up fully, and, in fact, disrespecting their own story. And just as important, disrespecting the consumers’ time. Luckily, the internal contradiction of the Edge of Tomorrow came at the end where it didn’t confuse the rest of the movie, but being at the end, it deflates the feeling of awe at Cage’s success, and so diminishing its levity. He saved the world! Ehhh, is that all he did? Ah, well, that was entertaining.